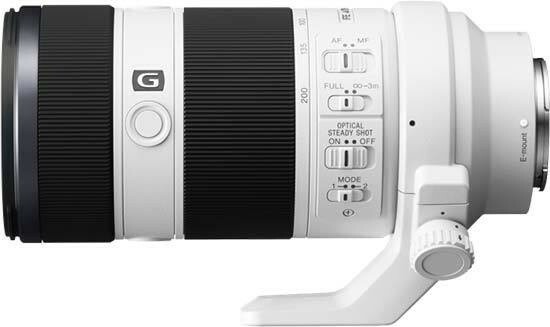 The Sony FE 70-200mm f/4 G OSS is an excellent telephoto zoom lens for Sony's full-frame compact system cameras. It delivers outstanding sharpness in the centre of the frame almost throughout its entire aperture and zoom range, even performing well wide-open at f/4, although you'll need to stop down to f/5.6 to get similar quality at the edges of the frame, and image quality drops off a little at the 200mm focal length. The Sony FE 70-200mm f/4 G OSS lens offers fast and reliable auto-focusing on the new A7R II that we tested it with, plus intuitive manual focusing, built-in image stabilisation and excellent build quality - it's even usefully weather-tight too. The only real downsides are the high price, the large size/weight, and the constant f/4 aperture, rather than f/2.8, which may put some people off. All in all, though, we'd strongly recommend the Sony FE 70-200mm f/4 G OSS lens.